Why Is My Bathroom So Dusty And What To Do About It? Do you notice constant draining of the toilet tank water? If so, it’s time to double check the flapper and probably you need to replace it. Nothing to be sad, it happens to all flushing toilets after a while. It will happen several times in the lifetime of the toilet. Most people hire a professional to do it, but with the right guide on how to replace toilet flapper, anyone should be able to do it. It’s not a complex or hard job to do even for an amateur if you have the right guide. To make it simple, I have included an instructional video on it. Later, I have discussed all the steps to achieve it. The video and this instructional guide should help you do it yourself. You don’t need any special tools to replace the flapper and all the pieces to replace it is available from any local store or an online store like Amazon. Do it yourself and you can save more or less $100. Sometimes, a professional plumber charge even more! Within 20 to 25 minutes the entire job will be finished! What Is The Toilet Flapper? If you have no previous experience of replacing toilet flapper, you may not know which one is the flapper. 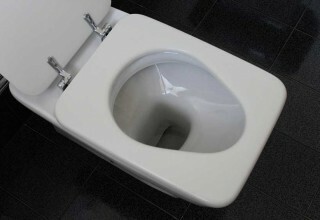 It’s a small and inexpensive item in your toilet that plays a vital role. Because of it, the flushing mechanism works. In your bathtub, there is a water stopper, right? 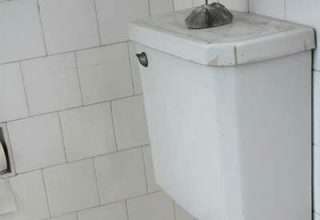 Just like that stopper, a flapper in a toilet stops and holds the water. Let’s not waste your precious time. 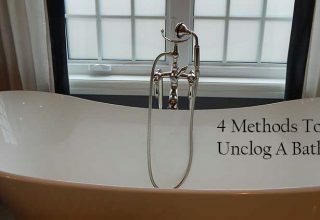 Watch the video first on replacing toilet flapper. Later after this video, I have written the step by step guide. I believe the instructional video has made it pretty clear, right? Now, let’s explain each of the steps more elaborately. You need to turn off the water in the toilet before replacing the flapper. It is not mandatory but without turning it off, the job may be difficult and you can’t do the job comfortably. Once you turn off the water, flush the toilet to empty it completely. 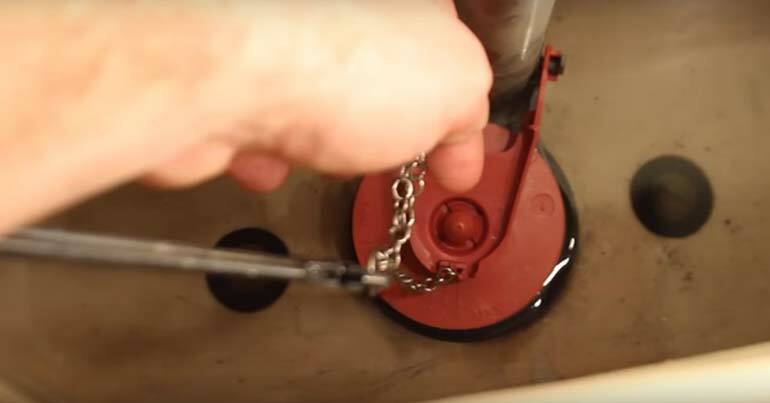 Remove the lid to the tank and locate the flapper chain. It literally looks like a chain, so you should have trouble identifying it. Remove the chain from the toilet handle arm. The chain and the handle arm is attached by a small clip. It’s time to remove the old flapper. Pull up the flush valve to remove the old toilet flapper. Before trashing or recycling the old toilet flapper, examine it carefully. If the flapper looks misshaped to you, replace it. Otherwise, the problem is somewhere else. Once you have removed it, it’s time to replace it. On the back of the flush valve, you will notice 2 hinges. Place the new flapper on the flush valve and connect the hinges (Some people refer it as pegs too). Refer to step 2 again where you have removed the chain from the handle arm. Well, reattach it now. You may need to adjust the length of the flapper chain. Don’t make it too tight and ensure it does not have much slack. Refer to Step 4 again. The flapper chain should match the brand of your toilet, though most of the time they are very similar. Depending on the manufacturers like KOHLER, TOTO, American Standard, it varies. So, it’s important that you get it right for your matching brand. So, take a note of your brand before you buy the new flapper. Now refill the toilet bowl. Turn the water back on to do so. Carefully notice how long it is taking to refill the bowl. If it takes more time than the average re-fill time when you flush the toilet, it indicates you have installed the new flapper the wrong way. Or, the problem was not in the flapper in the first place. As the last step, flush your toilet to check whether everything is working or not. 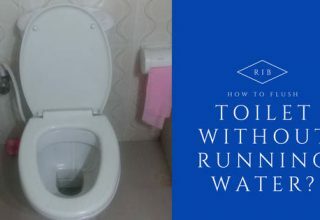 If the toilet does not re-fill, check whether you have turned on the water or not. From the above guide on replacing the toilet flapper, it is now crystal clear to you, right? Though it is easy to follow the guide, installing a flapper has to be accurate. The inaccurate installation will result in no flushing at all. Did you find it hard to replace the toilet flapper? I believe NOT! In fact, you should do such small but fun DIY home project more often, not just to save money, it can save a lot of your time also. Replacing the flapper yourself will give you more confidence to do other easy plumbing jobs. Share this step by step guide with your friends and families. Who knows! They might need it too! Previous article Why Is My Bathroom So Dusty And What To Do About It? 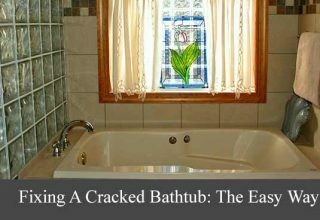 How To Fix A Cracked Bathtub And Learn Some Preventive Measures Too! 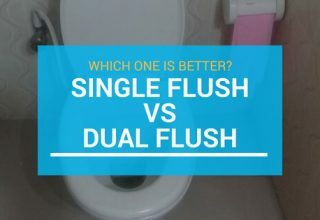 Which Is Better Dual Flush Or Single Flush Toilet? Can You Get Pregnant From A Toilet Seat? ReliefInBath.com participates in the Amazon Services LLC Associates Program, which is an affiliate advertising program designed to provide a means for websites to earn advertising fees by advertising and linking to amazon.com.